ESNS Academy has been developed specifically for students and aims to inspire both Dutch and international students. With an ESNS Academy ticket you have the opportunity to check out what is happening in Groningen during ESNS and spot the hottest new bands at Eurosonic. Do you want to be challenged and learn something from music industry professionals and discover your new favourite act? Go get your Academy ticket and join us on Thursday January 17. Our sessions with music industry professionals will take place on Thursday January 17 between 04.30 – 08.30 PM. Afterwards you are able to attend all showcases across town (in over 30(!) locations). The showcases are programmed between 8.30 PM – 02.00 AM. ESNS Academy tickets are €28,50 (incl. €3,50 service fees) and can be bought online. A full overview of sessions on offer is to be find below. 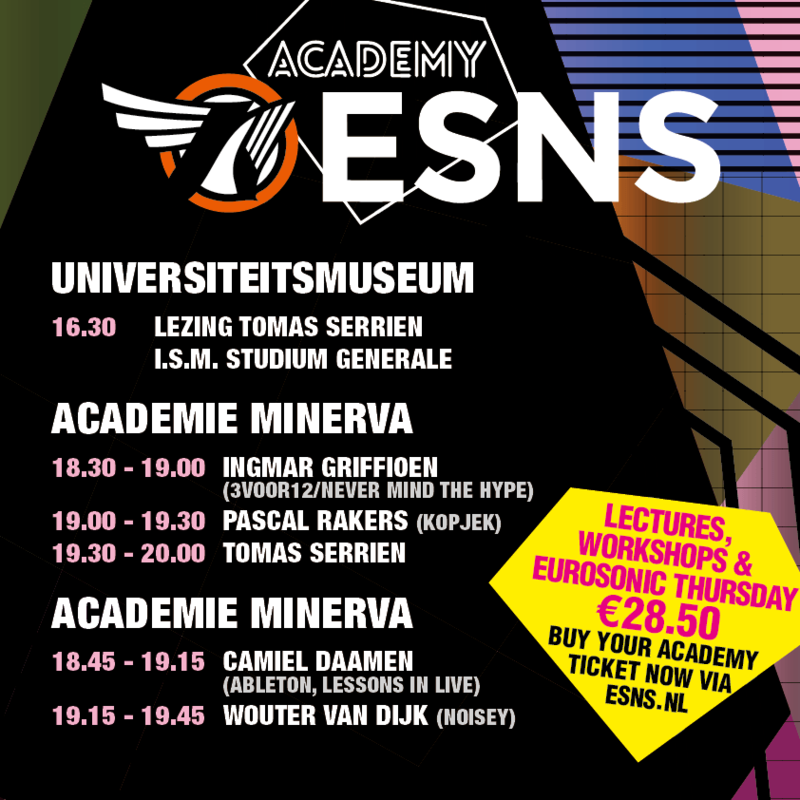 Please note: an ESNS Academy ticket can only be purchased when you are in the possession of a valid student ID.